The Jemesis service is tailored to the needs of property owners. 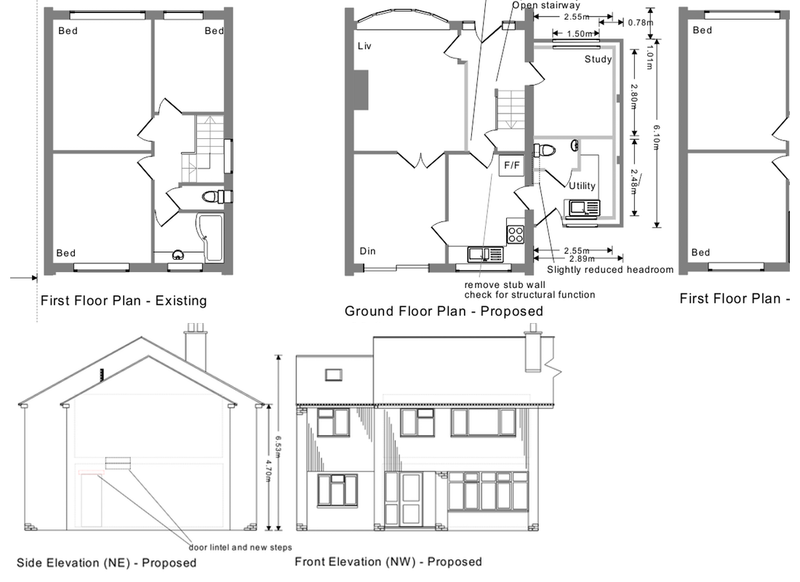 Jemesis specialise in design work for home extensions and new houses. 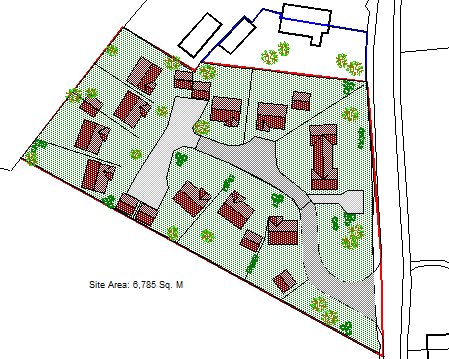 We also produce land maps and plans and floor plans for everything from legal agreements to house particulars. Lawyers, planners and building control all demand for you to present your ideas and proposals using maps and drawings - Jemesis are here to guide you through the process. We will always assume you want the most cost effective solution for your building project and we have the skills to save you money on your build. Whether you know exactly what you want or you simply come to us asking for more space – we are experts at interpreting your needs into a set of design proposals. Once a solution has been agreed we can submit for all the necessary permissions for you. There are many ways to satisfy a brief but a drawing of the proposal is unbeatable at galvanising opinions on what will work and what won't. We will propose a number of solutions to your brief to start off the design process. A thorough exploration of all the possibilities on 'paper' is much cheaper than finding out a wall is in the wrong place once you start building! 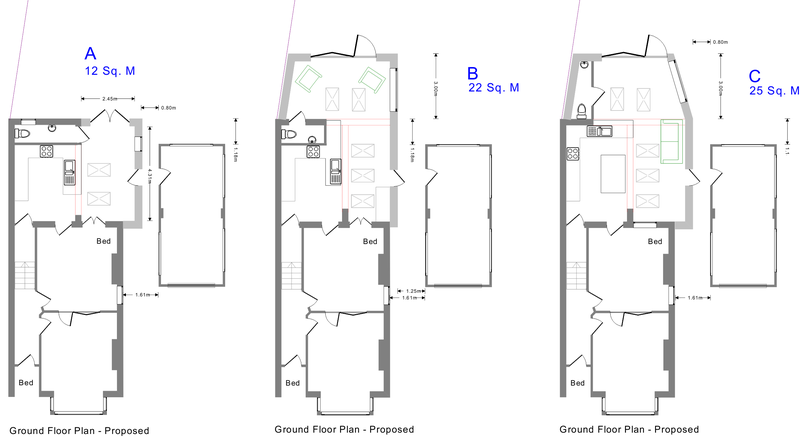 Detailed plans and elevation drawings show what you have and how you intend to add to it. They are required for planning applications. 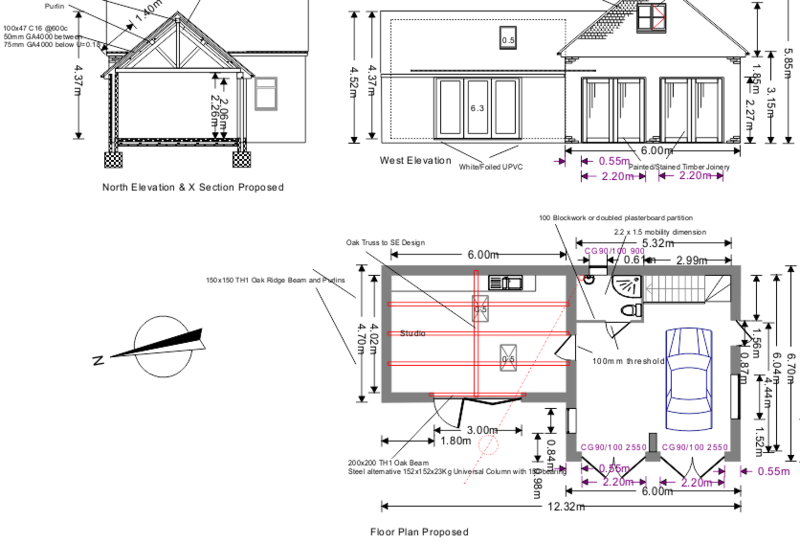 Construction plans detail the many technical details required to obtain building control approval. The purpose of the building control drawings is to reassure building control inspectors that all the major and interrelated requirements of the building regulations have been thought about in advance before costly mistakes are made. 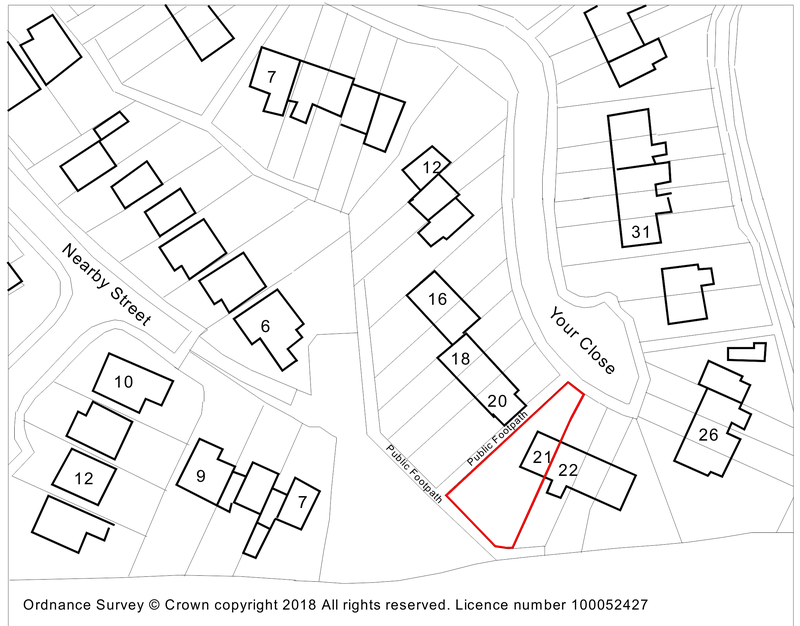 Site plans show how your proposal will affect interested parties and are required for planning applications and building control applications. Location plans show where your property can be found edged red. Required for planning applications, registering land and for lease agreements. To get your project started send us an email or call 01952 820342. To most people this is all referred to as 'planning' but there are two distinct phases. Pretty much everything requires planning consent but certain projects in selected situations have already been granted planning consent – often referred to as permitted development. The rules are much more complex than you might think and plenty of people get caught out – either because they misunderstand the detail of what is allowed or because their property doesn't benefit from permitted development or their rights have been withdrawn. Seek advice and once you have fully understood the rules get someone who knows to agree with your interpretation. 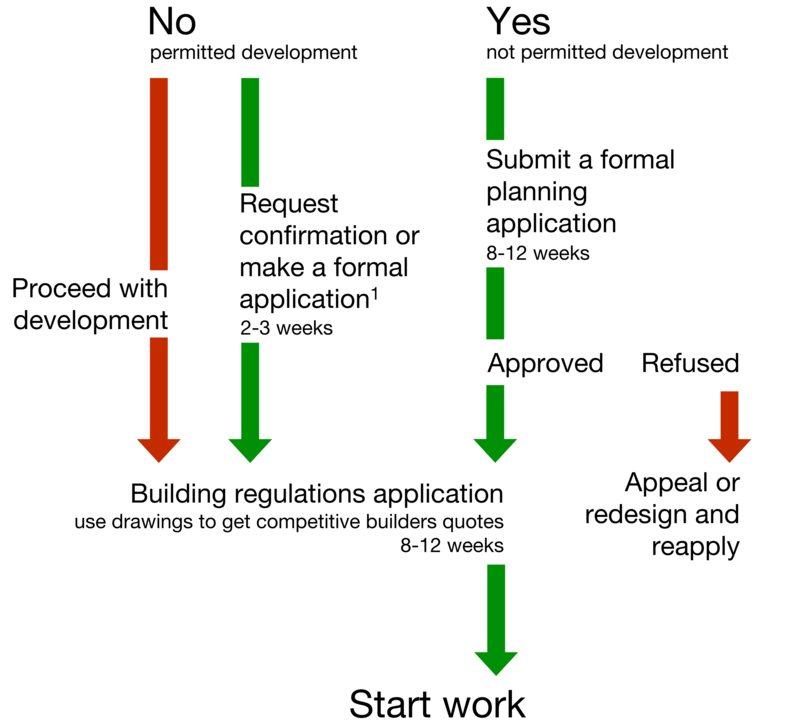 Most projects require building control approval whether you need planning permission or not. It is more expensive to get a project approved after you have started than getting it approved before you start. Depends on local authority policy and charging structure. Timescales shown are different to the application processing time that you may see quoted. Each Local Authority operates a slightly different policy particularly on charging. Services that were previously available and free may now incur charges or be withdrawn. Copyright © 2018 Jemesis Limited. All rights reserved.